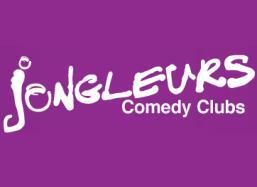 Last Friday, I went to the Jongleurs Comedy Club in Piccadilly. If I’m honest, my expectations were fairly low. I’ve been to a couple of Comedy Clubs before and, in general, only half of the acts were funny. I’d also read a number of particularly critical reviews and struggled to find anything positive on the internet. When we arrived, we were shown to a table. It was fairly near the back of the room but the view was good. I had been sent a menu the previous day to select a meal from so our burgers were promptly brought over. They weren’t exceptional, but they were nice.